Home > Extreme Couponing 101 > Last Minute Shipping Deadlines – How Long Can You Procrastinate? Last Minute Shipping Deadlines – How Long Can You Procrastinate? Have you been putting off your holiday shopping? Or just struggling to find the right gift? If so, then take note of what stores are still shipping items out and what will arrive in time. Just remember, going past Thursday night is a tad risky… Most everyone will not guarantee arrival after Thursday. Tip: Don’t pay for expedited shipping. Odds are you can find an item they will like from one of these stores or get them something else. 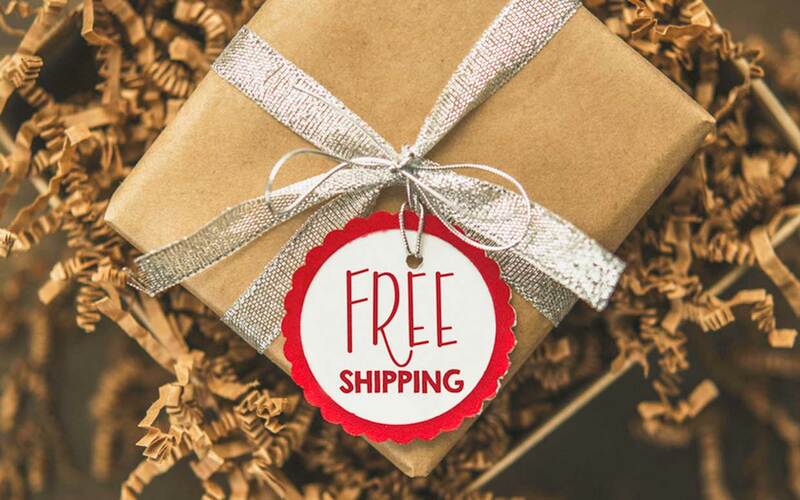 There is no reason to pay for shipping when so many are offering it for FREE! Shipping with Guaranteed Christmas Delivery! Kmart – Order by 4pm Tuesday, December 18th at Kmart.com to get items in time for Christmas. Kohl’s – Shop by Tuesday night, December 18th, at Kohl’s.com to get your items by Christmas Eve with standard shipping. Shipping is free on $50+ orders. Old Navy – Shop by Tuesday night, December 18th, at Kohl’s.com to get your items by Christmas Eve. Shipping is free on $50+ orders. Crocs – Shop by Wednesday night, December 19th, at Crocs.com to get your items by Christmas Eve with free 2-day shipping or any order $59+. Lands End – Shop by Wednesday night, December 19th, at LandsEnd.com to get your items by Christmas Eve. Shipping is free on $50+ orders. Best Buy – Complete your purchase by 10:30 am Thursday, December 20th from BestBuy.com and get free shipping on any order with guaranteed Christmas delivery. Walmart – Complete your order by 2 pm Thursday, December 20th at Walmart.com to get guaranteed Christmas delivery. Macy’s – Shop by 5 pm Thursday, December 20th at Macys.com to get guaranteed Christmas delivery on select merchandise. Target – Order by Thursday night, December 20th, and get free shipping on any purchase from Target.com with guaranteed delivery by December 24th! Make sure to look for eligible items with the holiday delivery truck icon. Amazon – Order by Saturday, December 22nd, and Amazon Prime Members will get items in time for Christmas with Prime 2-Day Shipping. (It’s a great time to get a 30 day free trial if you are a serious procrastinator). Note that you can also select free in-store pickup on many items to also get in time for Christmas.